Real Sports. Real Drama. 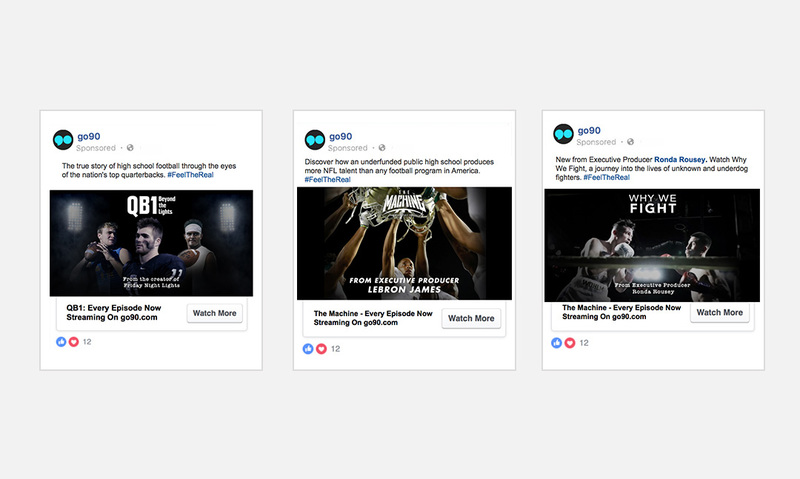 The “Feel the Real” campaign was a first of its kind for go90 as it encompassed a 360 approach across multiple Verizon properties (such as Yahoo Sports and Complex) to promote viewership for 3 of original shows: QB1: Beyond the Lights, Why We Fight, and The Machine. 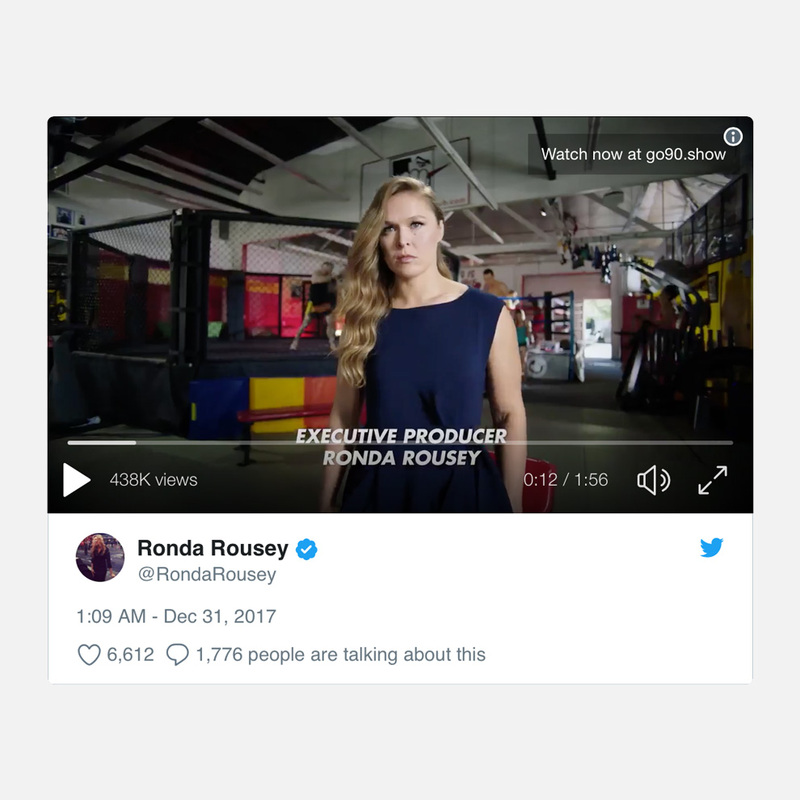 To maximize exposure on top of the paid media, go90 also leveraged the voices of several key talent personas such as Ronda Rousey, Peter Berg, and LeBron James to their millions of followers across social media. 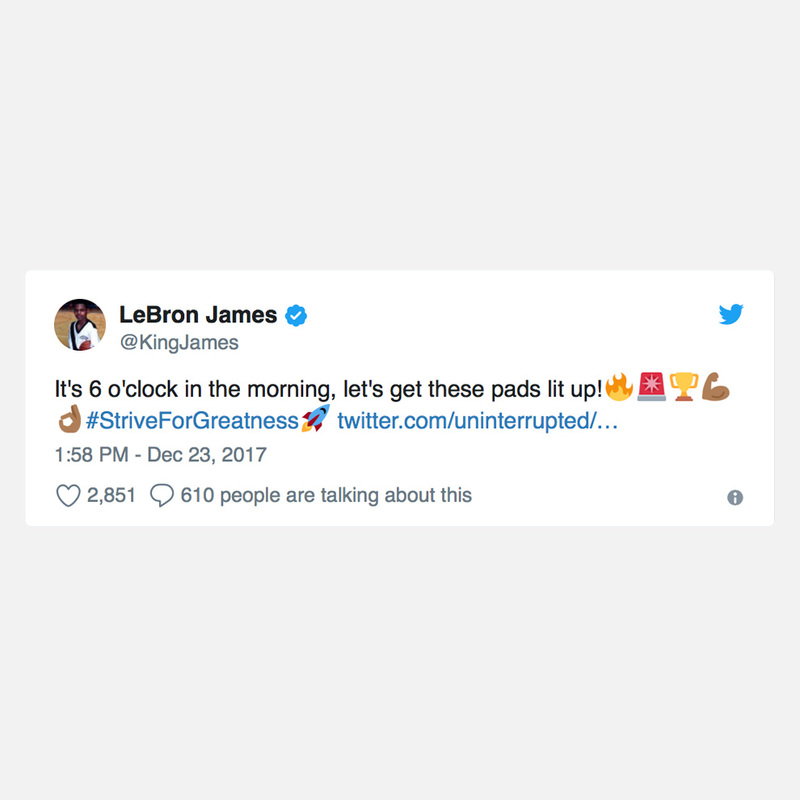 On top organic social, the campaign launched several paid posts across Twitter and Facebook that teased the show. The campaign helped go90 achieve growth and finished with 3.1M Total Unique Viewers in 2017.